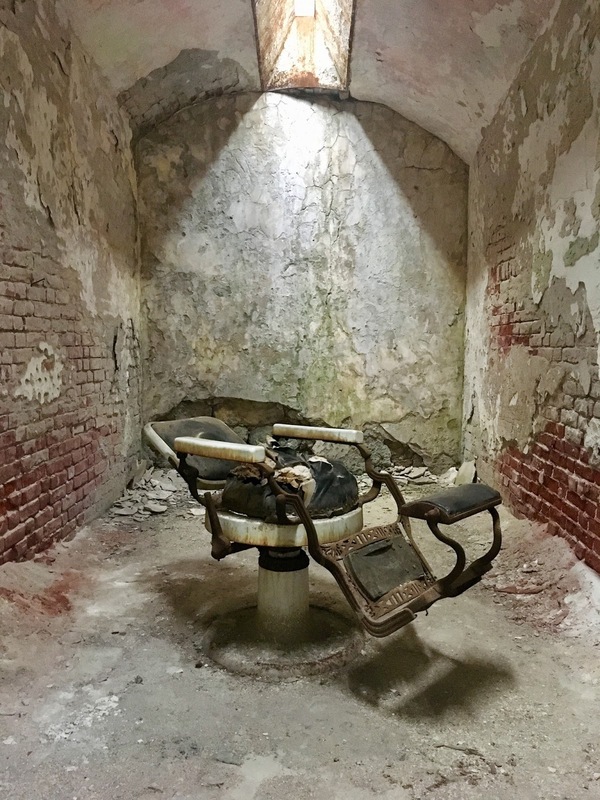 A barber chair left alone in a crumbling cell at Eastern State Penitentiary in Philadelphia, Pennsylvania. The entire place is old and creepy - more photos to come in the near future - but this setting stirred up a scenario worthy of a horror movie. I'd definitely pass on the shave. This Top Shavers provides one of the smoothest and most comfortable shaves possible. The battery life is exceptionally long for greater times in between charging. The shaver charges quickly when it is placed in the compact sized charging cradle http://www.selectmyshaver.com. It provides us first class delight to perform Salt Lake City barber shops something and also have the customer having a grin on his face and passion in his speech about the barber retailer revel where he has just purchased. Make sure you supply us the opportunity to provide a grin for your face and check out our shop. We have been open daily of every week with lengthy time within your ease.